Kathleen T. Talvacchia is assistant dean for Academic and Student Life in the Graduate School of Arts and Science at New York University. 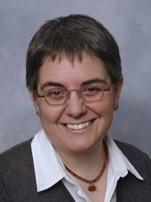 Formerly she was associate professor of Ministry and Theology at Union Theological Seminary. A member of the AAR Theological Education Steering Committee, she has published in the areas of theological reflection, educational formation, and multicultural pedagogy. She is the author of Critical Minds and Discerning Hearts: A Spirituality of Multicultural Teaching (Chalice Press, 2003). What does it mean to be theologically illiterate? Is it only ignorance about the basic tenets, beliefs, and practices of a religious tradition? Or is it something much deeper and pervasive that for religiously formed persons may involve a lack of critical thinking or an unwillingness to open oneself to new religious experiences? Who defines what it means to be theologically literate? As it faces varieties of illiteracy in the student body, in what ways must theological education respond to this reality in its curriculum and teaching? This third issue of Spotlight on Theological Education grew out of discussions in the Theological Education Steering Committee about Stephen Prothero’s 2007 text, Religious Literacy: What Every American Needs to Know and Doesn’t (New York: HarperOne, 2007). Defining religious literacy as “the ability to understand and use in one’s day-to-day life the basic building blocks of religious tradition” (11), the committee members reflected upon Prothero’s statement about theological education. Regarding seminaries, he says, “Basic religious literacy is lacking even in seminaries, where many ministers-in-the making are unable to describe the distinguishing marks of the denominations they are training to serve” (7). While many could identify positively with the statement — at least anecdotally — the committee members engaged in a spirited discussion about the legitimacy or inadequacy of it both within their contexts and in the larger world of theological education. In order to subject the issue to a scholarly analysis, the committee sought to assemble a distinguished panel of theological educators to investigate the implications of theological illiteracy on the curriculum, instruction, and institutional practice of theological education, making it the subject of a Special Topics Forum at the 2008 AAR Annual Meeting. The papers produced for that session have been further developed here for this issue of Spotlight on Theological Education. The writers are from a variety of seminary contexts and scholarly disciplines and have been asked to reflect upon the implications of theological illiteracy for theological education on the work of teaching, the formation of leaders, and ways that theological educators define their mission. For their task, they considered questions such as: How do scripture courses function when students no longer know Bible stories? How do field educators place persons in ministerial settings when students know nothing about their church’s polity or history? How do we do theology or religious education when would be pastors need a basic understanding of a tradition? How can we teach interreligious dialogue when students know other traditions, but not their own? Historian Daisy Machado challenges Prothero’s description of the lack of religious literacy in the Unites States, and argues that, in fact, the United States population is quite religious. The more important problem that she perceives is that people do not care about religion and do not see it as an important reality in their lives or in the world. Thus, she sees the crucial challenge for theological education to be honoring the religious literacy that students bring to the seminary, discovering ways to make the Bible matter through engaged scholarship, and creating seminary teaching and curriculum that is connected to the concerns of communities. From the perspective of theological field education, Emily Click understands multiple meanings for literacy that require diverse types of professional preparation. She understands theological literacy to involve not just understanding content, but a “readiness of heart, an openness of spirit to fruitful questioning” in the face of complexity. Elizabeth Conde-Frazier, a religious educator, examines theological illiteracy through analysis of a “World Religions in Dialogue” course. The course uses personal history as a starting point to understand and to articulate the students’ particularity of experience within the Christian tradition. From the expression of that particularity, theological literacy is developed that assists the students in their understanding of other religious traditions. John Thatamanil considers the problems that theological illiteracy poses for teaching comparative theologies. He examines lack of knowledge of spiritual disciplines, lack of understanding of intra-Christian diversity, and ignorance of Christian attitudes to other faith traditions, along with the temptation of uncritical eclecticism, as major challenges that theological illiteracy brings to the student of comparative theology. He finds that each problem also holds within it a source of promise for the development of theological literacy. The history of religious communities suggests that each era presents its own particular version of the problem of theological illiteracy to which theological education must respond. It is our hope that these reflections shed new light and develop fresh ideas for this era that will contribute to this ongoing discussion.